In a nutshell…FSBO’s (For Sale By Owner) fail because home owners are trying to do a job that they just aren’t trained for. This is not an insult, I believe that those who choose this route do so with the best of intentions and reasons. The most common reason is to save money on paying real estate commissions. But in the long run, most discover it is just not worth the time and effort it takes to sell your own home. Here are some top reasons why FSBO’s fail…. They don’t know how to accurately price the home. Realtors take great care in the listing price of your home. A lot of research goes into the pricing of a home. Realtors are trained and have access to this information at the tips of their fingers. FSBO’s can take their best guess, but will likely price too high or too low. Home Owner’s don’t really know just how much administrative work goes into selling a home.There is a lot of phone conversation that needs to go on…….there are emails and text messages to return. That’s if they can even get anyone to call which leads us to point #3. 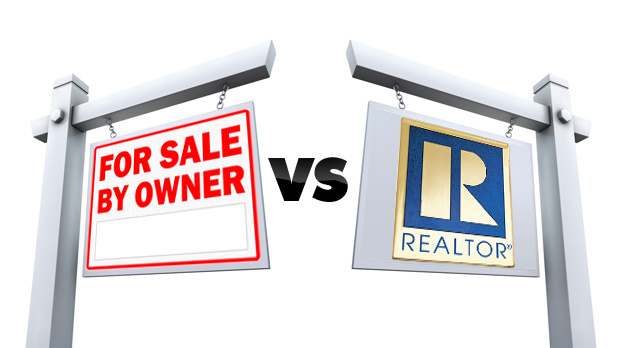 A real estate agent has access to amazing marketing tools.There are a few websites out there that allow FSBO’s to market their home, but the reality is, Real Estate Agents have far more marketing power tools available to them. What listing agent wants to show their clients a home listed by a FSBO?This means that the buyers would have to be willing to pay the realtor’s commission…let’s face it: why would they do that when there are other homes out there where they wouldn’t have to add this to the costs they are already having to cover, like the down payment not to mention the closing costs? Finally – you are entering into legally binding contracts. This is big scary legal stuff here….as a FSBO do you really want that kind of responsibility weighing on your shoulders? Realtors have such a high accountability process and help from their managing brokers to ensure buyers and sellers are protected when it comes to the contract, title work, inspections etc. Believe me, it is a much safer choice to go with a Realtor. You don’t try to fix your own car when it breaks, or your own plumbing when you have a leak…you call a professional right? Real Estate Agents are worth every penny…They are there to help, to serve and to protect you!